Ray Grant presents our donation. 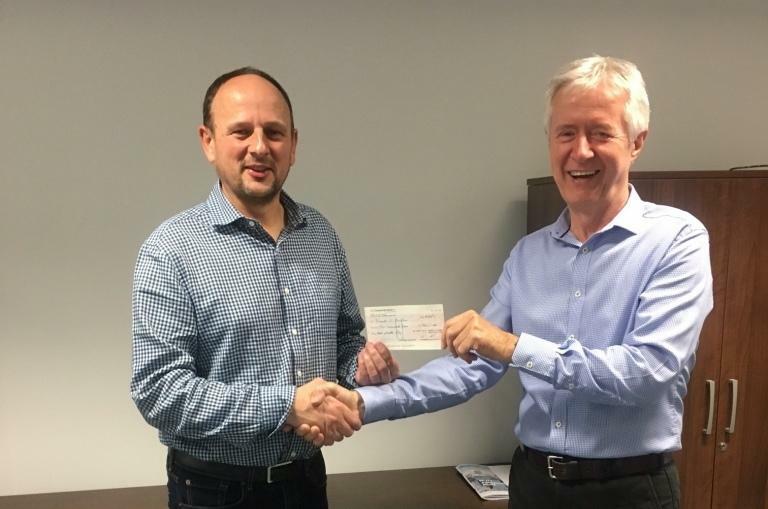 Ray Grant from the Rotary Club of Aberdeen Balgownie presenting a cheque for £1,500 to Dave Weston on behalf of Friends of Anchor Brave Catwalk Appeal. The inaugural 'Brave' show will be on Friday 5th May, the night before Courage on the Catwalk kicks off at the Beach Ballroom, to capture the strength of men who have faced the reality of a cancer diagnosis. 24 men from the North-east are set to take to the runway for the very first time and unite together for what will be an evening of real camaraderie to recognise what they have faced and overcome in their fight against cancer.